If you drive car to work everyday, have you ever been stuck in traffic jam for several hours in rush hours? Were you angry then? Are you crazy about the haze in your city sometime? Haze makes your nose and throat very uncomfortable, which is caused by polluted air. I bet your answer is “YES”. After all, above them are hot social problems now. As a result, you may be in bad mood all the time. Now, you can be saved from the dilemma because of Fosjoas intelligent self-balancing electric scooters. Under Fosjoas, there are many electric scooters and you can choose one according to your preference. If you want to select a type of electric scooter to go to work every day, here suggests two types: Fosjoas K3 sitting-posture electric scooter and Fosjoas V6 electric one wheel. The former is fitted for girls while the latter is designed for boys. It is very easy to control them. All operations, like speeding up, slowing down and changing direction, are based on body inclination. Compared with car, they are much smaller and thus can freely run on road. Therefore, your journey to work will be relaxing and smooth. You won’t by angry with traffic jam or crowds anymore. Your workday always starts from a good mood. 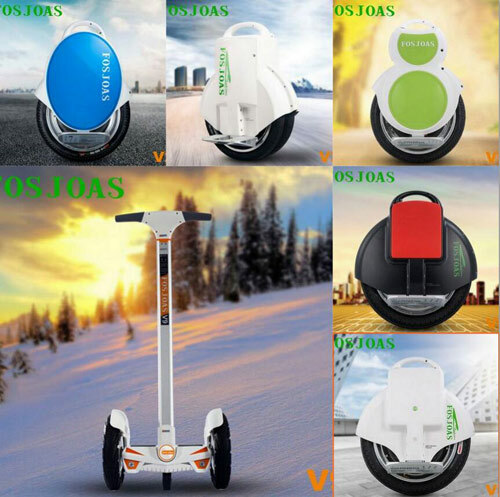 If you hope for a light travel, Fosjoas electric scooter also can help you. Take K5 standing up electric scooter for example. As long as you take enough spare batteries, the range of K5 scooter is unlimited. You can carry your backpack and go anywhere you want. Besides, it can charge your phone or other devices in the journey. Meanwhile, all of Fosjoas electric scooters are powered by lithium-ion battery. Therefore, they won’t harm the air at all. If all people are willing to apply Fosjoas two wheel electric scooter unicycle, the good air quality can be expected soon.